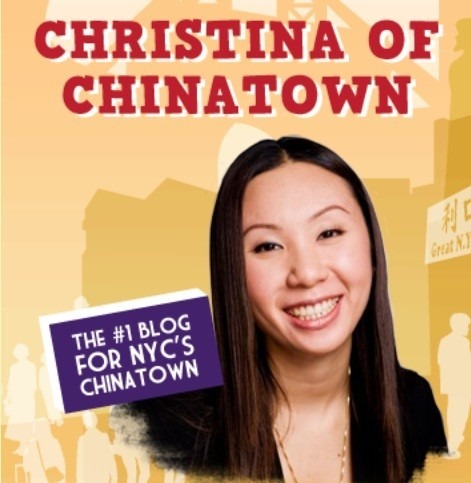 In this edition of Confessions of a Neighborhood Blogger, we talk to Chrtistina Seid, co-owner of the Chinatown Ice Cream Factory, as well as a children’s book author and founder of the eponymous blog, Christina of Chinatown. This third-generation Chinese American started her blog in 2007 to deliver the scoop on eateries, politics, boutiques, and anything and everything Chinatown-related. With a new baby on the way any day, Christina now spends her nights in the 'burbs and her days in Chinatown running her business and staying actively involved in culture and community affairs. Chinatown is a great area to live in. It is extremely convenient because shops are open late, so you can get a meal at any hour. It is close to bus lines and to trains (the East side lines all stop near Chinatown.) 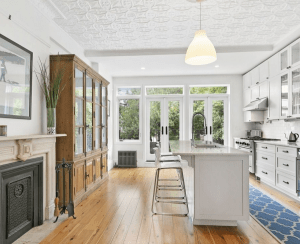 It is also a skip away from other trendy neighborhoods like Soho, TriBeCa, and City Hall. In terms of buying or renting in the area, Chinese people don't tend to move as often because they have been in the area so long most have rent-controlled apartments! So there is less availability. All of the new developments are expensive. 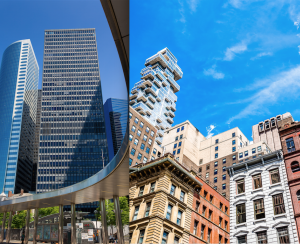 In terms of dining and food, however, it is probably the only place left in Manhattan with affordable eats. The food is delicious in Chinatown. The Chinese believe in only the best and freshest ingredients and the business climate is very competitive so you can get a delicious meal for cheap. The groceries are also the cheapest and freshest here. There are little markets that line Mott Street between Hester and Grand with fresh fish and produce. The inexpensive meat market is on Bayard Street. The area has gotten very hip. There are a handful of really great bars here and a nightclub that has sprung up. Whiskey Tavern is the Chinatown version of Cheers! and there are more hipster places like Apotheke and Pulqueria (both on Doyers Street). The area also has a lot of family friendly things to do, too. The MOCA (Museum of Chinese Americans) has a whole calendar of events for all ages, like workshops for children and families or spoken word in the evening. The Chen Dancers is an Asian-American modern dance company and school that has performances throughout the year and offer classes. Just this month the community celebrated Chinese New Year and there are parades for two weeks! I think the whole area has become really trendy. Chinatown's location is so convenient and central that everything in the area is very desirable. I like Chatham Towers for co-op living and it is in a good location. I like 50 Bayard (partly because it's across the street from my business!) and they offer condo living at a "reasonable" price (a two-bedroom is currently for sale for $810,000). 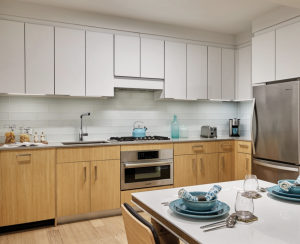 I like Hester Gardens because it is definitely one of the most modern condos in the area. 5. Any real estate related controversy brewing or currently happening in the neighborhood? Chinatown is changing a lot. The property is getting much more expensive and affordable housing is becoming very difficult. People involved with the community want to make sure that the historical value is maintained with a changing NYC and changing Chinatown. The neighborhood keeps getting more and more expensive. I think that the trend will continue. They are supposed to be putting up a hotel on top of the Jing Fong, which is going to be a big project. The Lower East Side because it's very close to Chinatown and sometimes the lines are often blurred. It is also an immigrant community that recently became "hip" to live in. 10. You don't live in the neighborhoodm but you seem to still feel very attached to it. My grandfather settled in Chinatown, and my father grew up here. I am however here almost every day. Many of the business owners do not technically live in the area. What makes Chinatown an awesome community is that it links so many people and you can still feel part of it even if you don't live there. I know tons of people in the community whereas where I live, I don't know any of my neighbors. That the rents here are cheap. The median rent in Chinatown is $2,775, which is low compared to the rest of downtown Manhattan, but still not "cheap" by any means.